Record Keeping, Lesson Planning, Custom Trackers, Attendance, Photos, Messaging, Calendar, Tuition Billing & Payments and More! A Prepared (and Paperless) Environment. Follow the child – anywhere, anytime! MC is the record keeping system that adapts to the way you work. Save time, money & trees! MC helps bring your school together with a centralized & secure system. Don’t settle for being the best-kept secret in town! MC helps bridge the gap between home & school. We are passionate about Montessori, just like you! MC was built with love and our team is always happy to help! 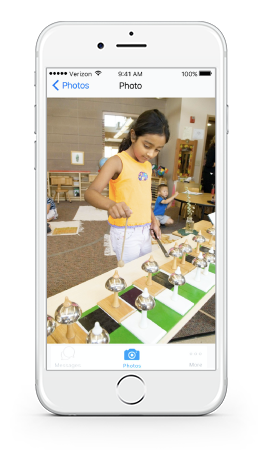 Gain perspective with a 360º view of every child in your classroom. Meaningful insights and real-time information – at your fingertips. Put the clipboards away & record classroom activities from any device! Like having a fresh sheet of paper in your notebook for each child every day! Like a sticky note (with super powers) placed in a child’s backpack each day! Naps, meals, toilet-training, paperwork – track anything, anytime! Flexible planning tools make it easy to create individual work plans for each child! Custom tags to organize students for academic or administrative purposes! Generate customized progress reports and share with parents instantly! ...when "one-size-fits-all" just doesn't fit! ...record any type of classroom activity from a single location. ...includes Montessori Scope & Sequence with Standards mapping. ...in a virtual notebook that never runs out of pages! ...share photos, reports & messages via the MC mobile app (iOS/Android)! 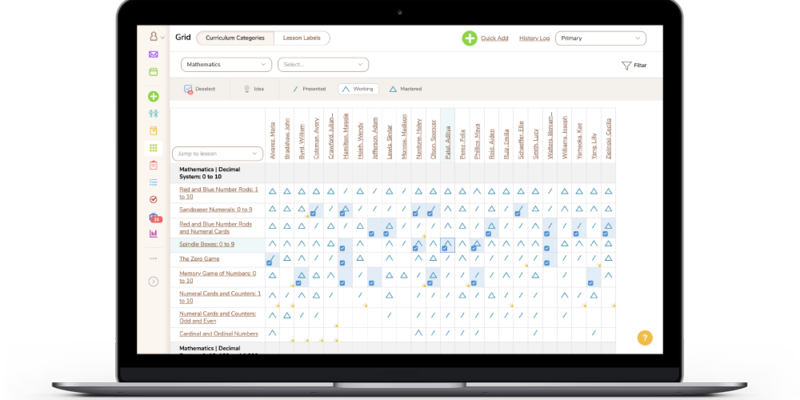 Schedule a live demo and start a 14-day free trial for your school today!